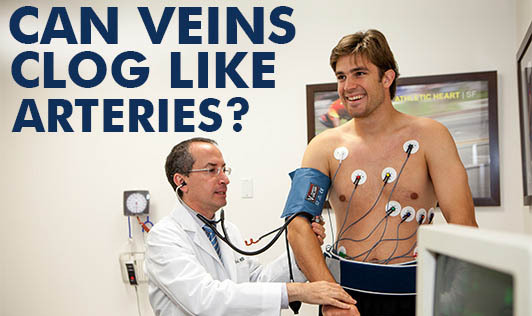 Can Veins Clog Like Arteries? Last evening I received a forwarded email about a natural remedy (a potion to be precise) to open the veins of the heart. The email claimed that the 'blockages' in the veins will open up and there won't be a need for bypass! It had a doctor's name at the end to make it seem authentic. I'm sure a lot of innocent victims have already started to take this potion. In reality, veins DO NOT clog like arteries do. There is no plaque formation and veins cannot precipitate a heart attack or an angina pain like the arteries. Going back to basics, arteries are the blood vessels which supply clean blood from the heart to all body parts including the heart. Veins are the blood vessels which take the unclean blood from different parts of the body back to the heart. The vein-blockage that can happen is due to a blood clot in the legs and is called Deep Vein Thrombosis (DVT). Please do not follow 'remedies' suggested by hoax emails. If you have a doubt, check with your doctor. Do not try any remedies on your own for health problems, particularly the severe ones. Always consult a health professional who can guide you well.